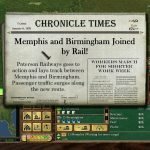 In Railroad Tycoon II, you played a rail baron laying down the arteries of commerce and industry. 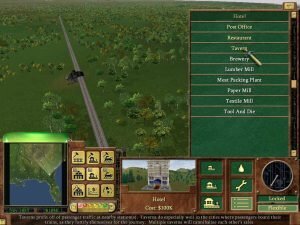 In Railroad Tycoon 3, you roam a free camera soaring across the land. Swoop from Chicago to St. Louis in the wave of a mouse. Zoom out and look down from on high, or get in close and admire the cabooses. It’s all very Tropico, with a train set instead of a banana republic. 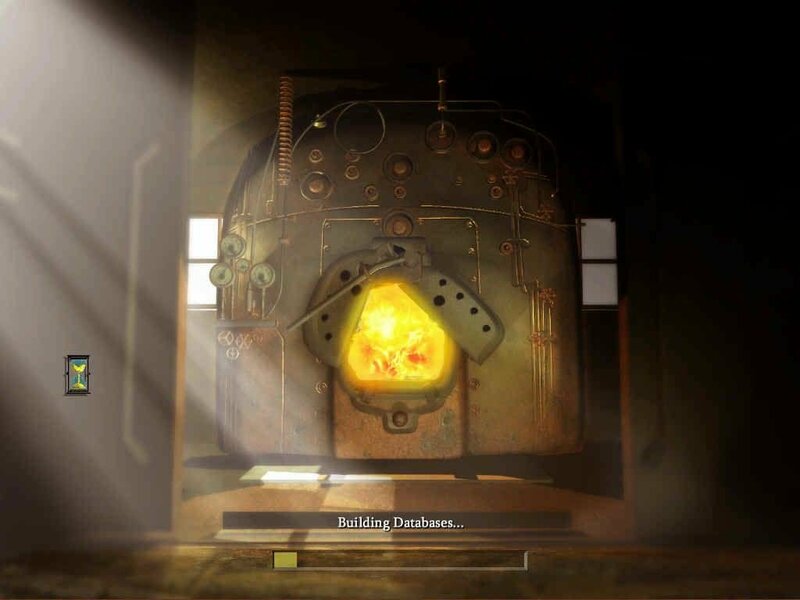 The fanciest new feature is the 3D engine. The trains themselves look great, but the appeal of model trains isn’t just the trains, it’s their environment as well: roads, billboards, power lines, a cow field, it’s all there. 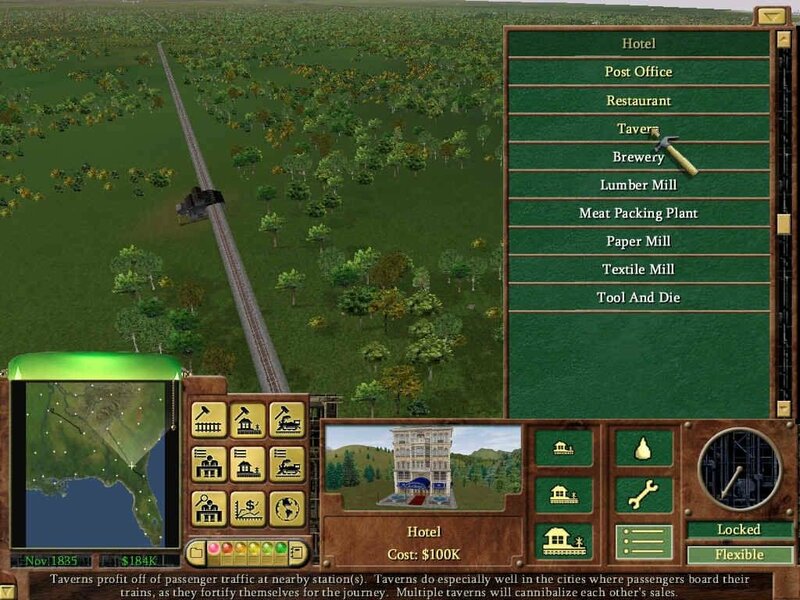 Even though Railroad Tycoon 3 is visually competent with its foliage, the environments are baren. It’s a world inhabited only by trains. 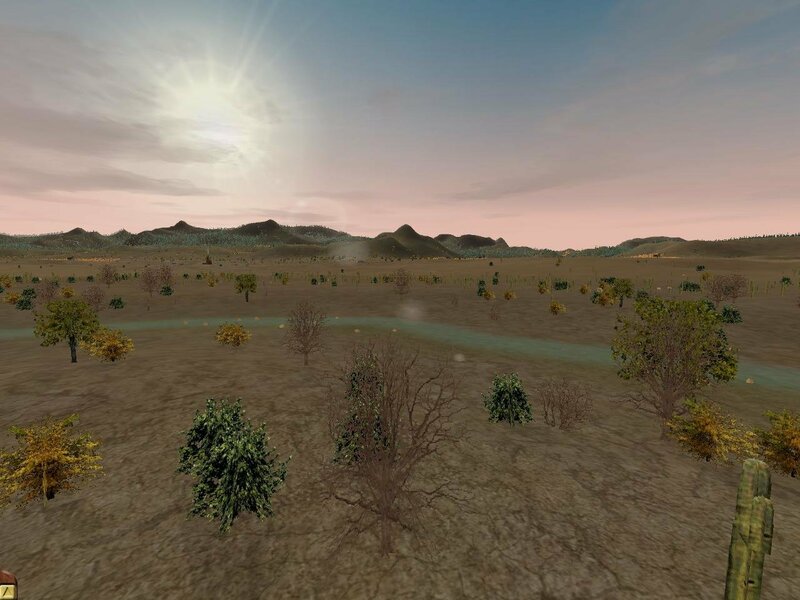 Cities are empty clusters of buildings, and environmental interaction is limited to crossing rivers and dealing with slopes. Sometimes you use tunnels. 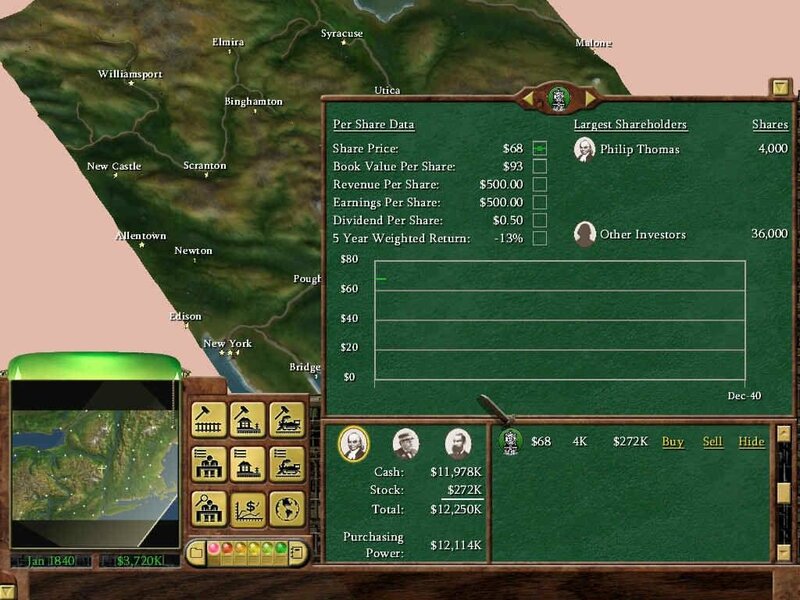 PopTop Software caught a lot of flak for abstracting tunnels in Railroad Tycoon II, although you have to wonder what it says about someone who whines about not being able to see trains going in and out of tunnels. 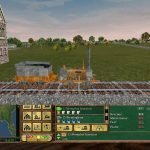 Although Railroad Tycoon 3 doesn’t necessarily succeed as a model train set, it doesn’t succeed as a strategy game either. Just as brand new, and every bit as dramatic and slightly misguided, is the revised economic model. 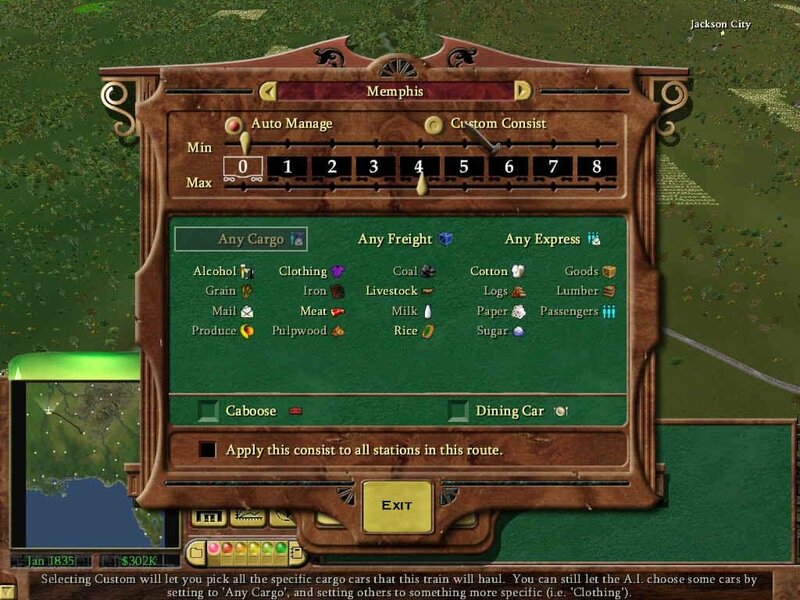 Instead of shuffling around discrete units of goods produced at specific locations, this is a game about dipping your trains into a veritable river of flowing goods. You’re an ancillary part of all this stuff that’s going to get where it’s going, with or without you. 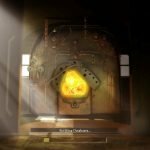 Gone is the intuitive paradigm of connecting resources with the industries that need them. 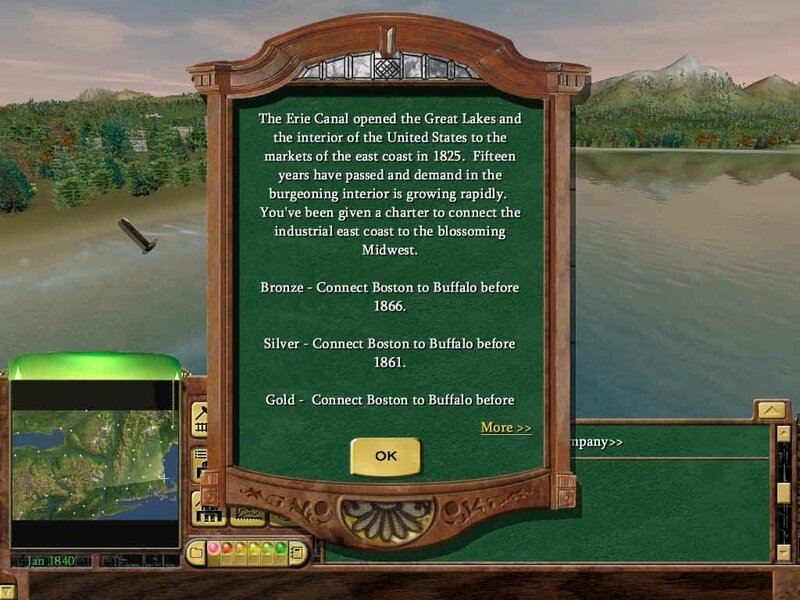 It’s almost impossible to manage a complete production chain from, say, coal to steel to automobiles, which is a large part of what’s satisfying about these march-of-industry games. 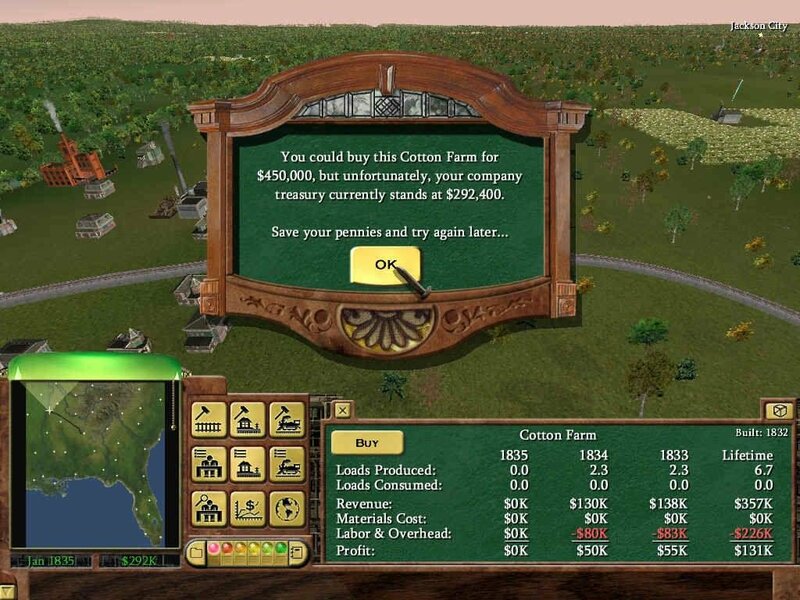 Railroad Tycoon 3 is more about finding divergent prices and hooking them up, as if it were a spreadsheet rendered with a 3D engine. 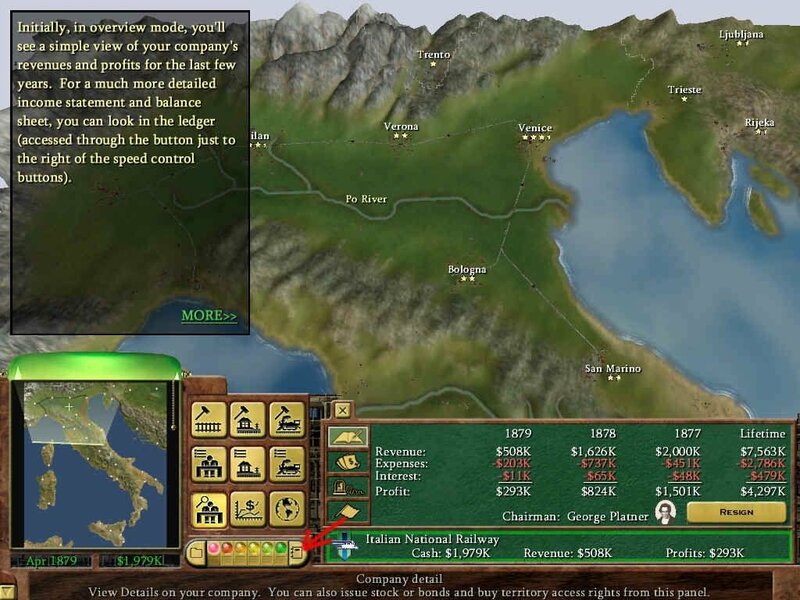 The real star here isn’t your railroad, which is ultimately superfluous, but the inscrutable economics running under the hood of this game. 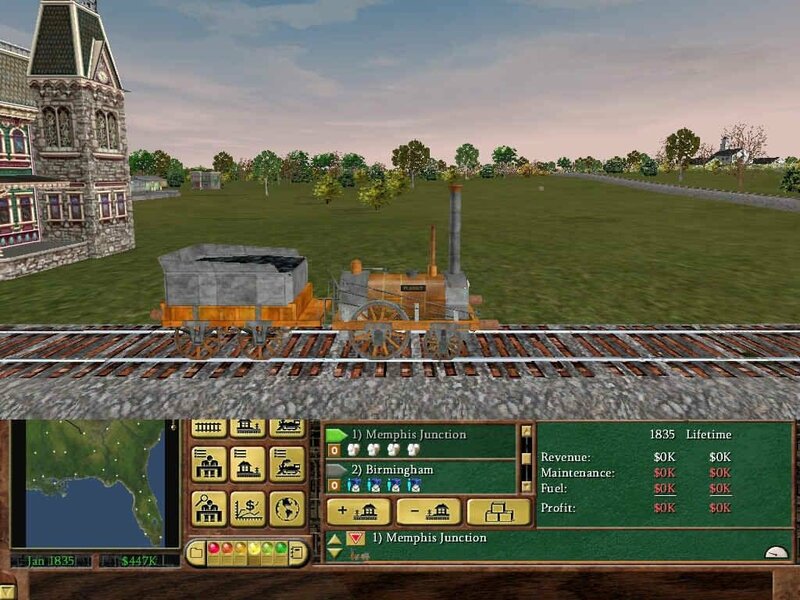 In fact, just as you could undermine the train portion of Railroad Tycoon II with clever manipulation of the stock market, you can undermine the train portion of Railroad Tycoon 3 by just building factories next to the raw materials they need. The dynamics of transportation take a back seat because goods move of their own accord anyway. It only makes real world sense in a limited way (there’s a reason paper mills aren’t built right next to logging camps), but it doesn’t make much game sense. And when you dutifully play the transportation part of the game, the pacing is completely out of whack. 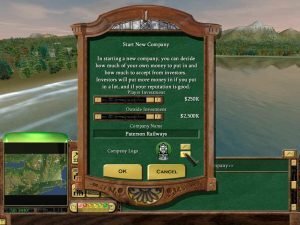 With trains that automatically decide what to carry (you can override this, but it’s rarely necessary and almost always less efficient), your role is reduced to laying track and waiting to make enough money to lay more track. There’s a lot of waiting, a lot of watching, and not much of a challenge. You could say it’s laid back and relaxing, but it also feels more hollow than its predecessors. 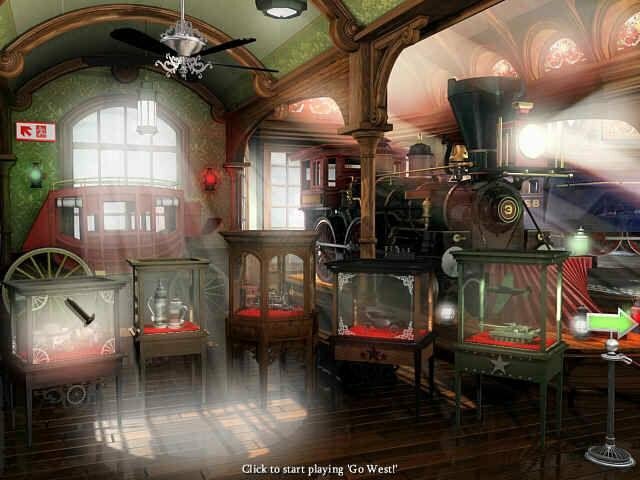 The most intriguing missions aren’t the sandbox scenarios but the ones that play out like puzzles. The reason is that there’s simply not a sound gameplay model at work here. 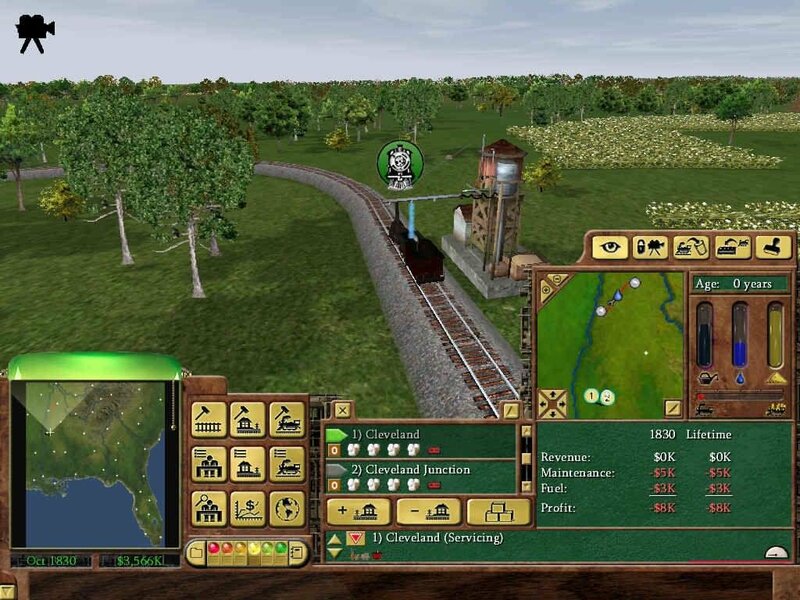 There’s an attractive engine, a smooth interface, and lots of historical detail for train lovers. 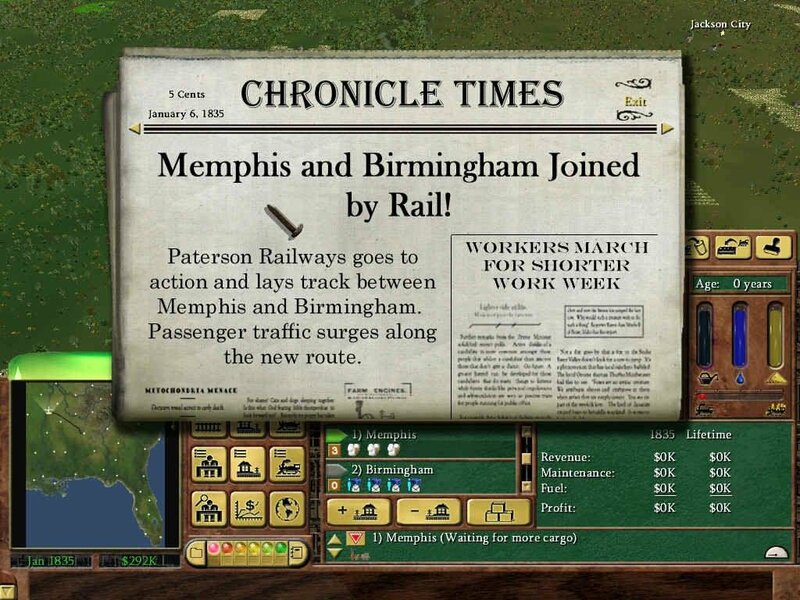 But particularly those who adored Railroad Tycoon II, there’s a strange feeling that you’ve gotten on the wrong train.